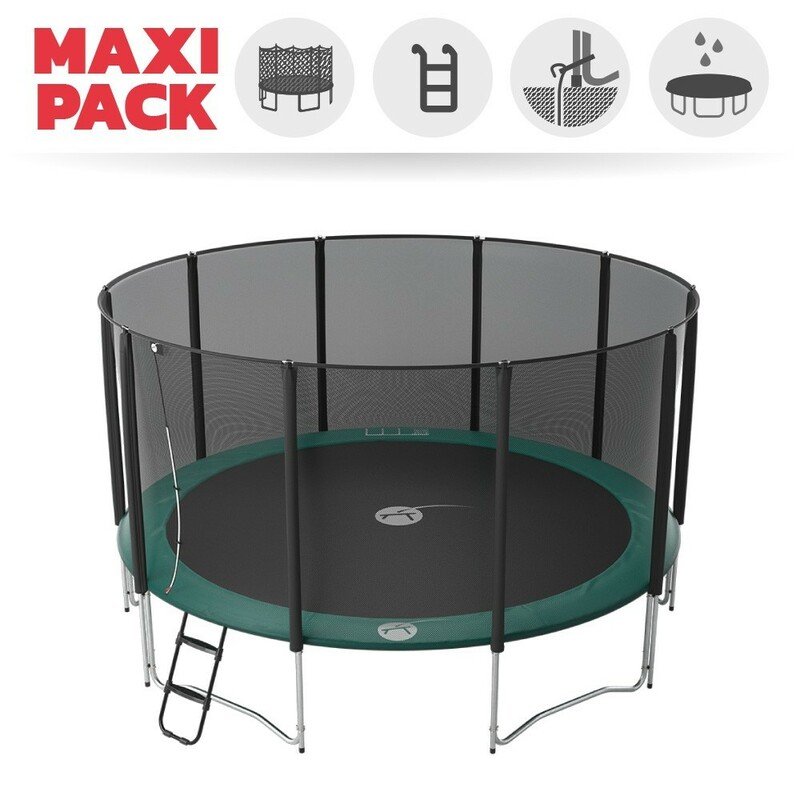 This 15ft Jump’Up 460 maxi pack will allow you to use your trampoline all year round and for many years to come thanks to the extra safety accessories: anchor kit and premium protective cover. 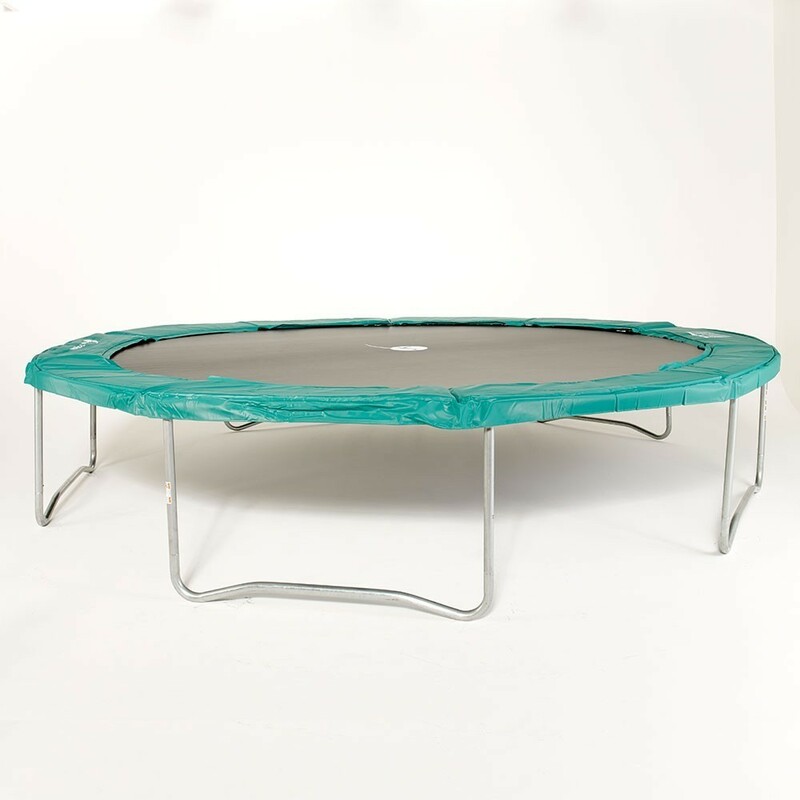 - This is the biggest trampoline of the Jump’Up range with its 15ft diameter. 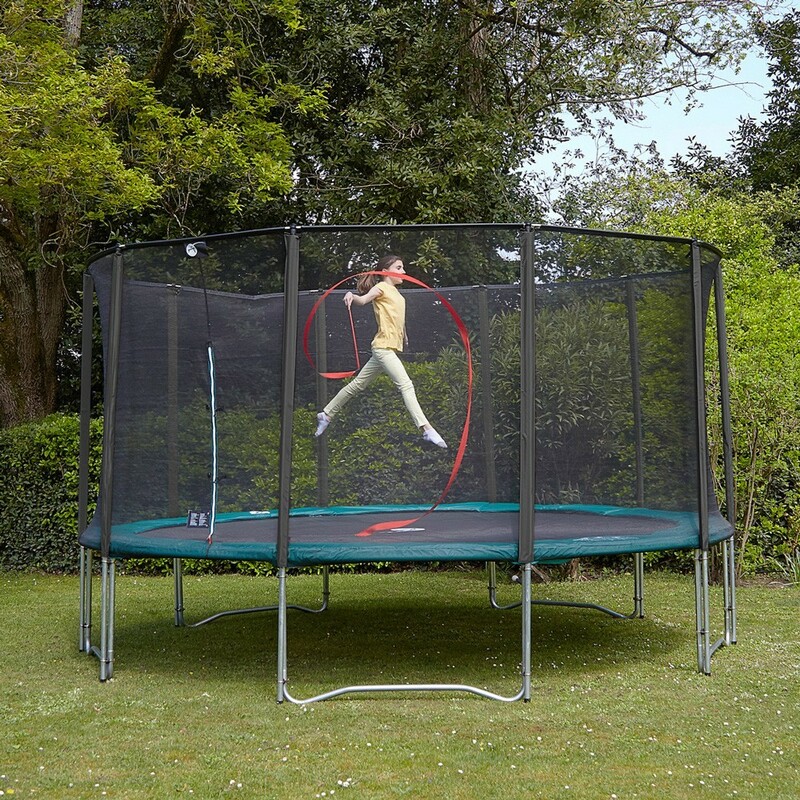 It’s hot-dip galvanised steel frame makes your trampoline rust-proof. 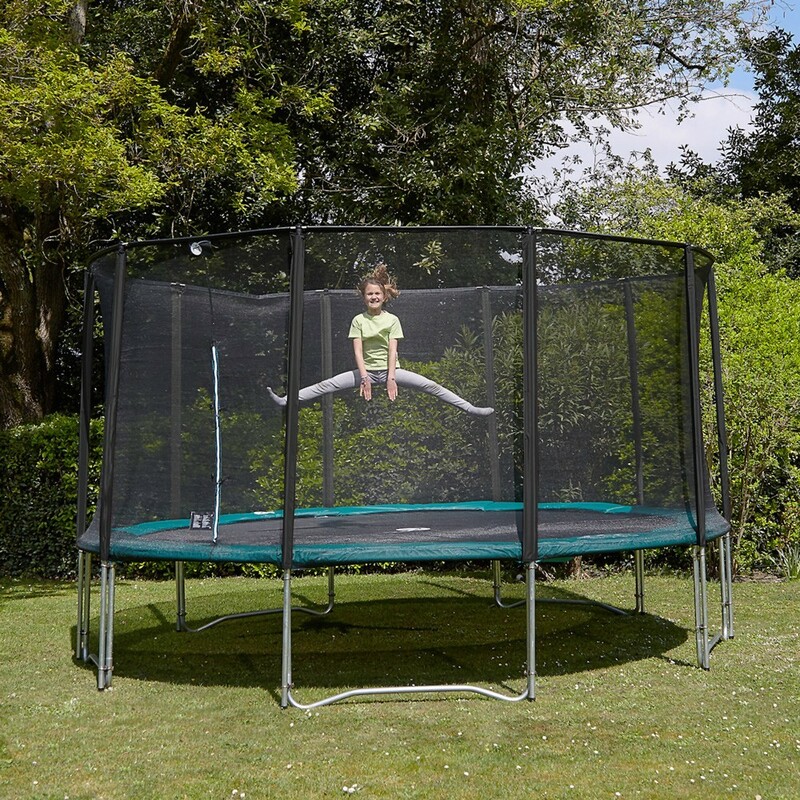 The 42 mm tubes and T-junction fixing system make this trampoline very robust. 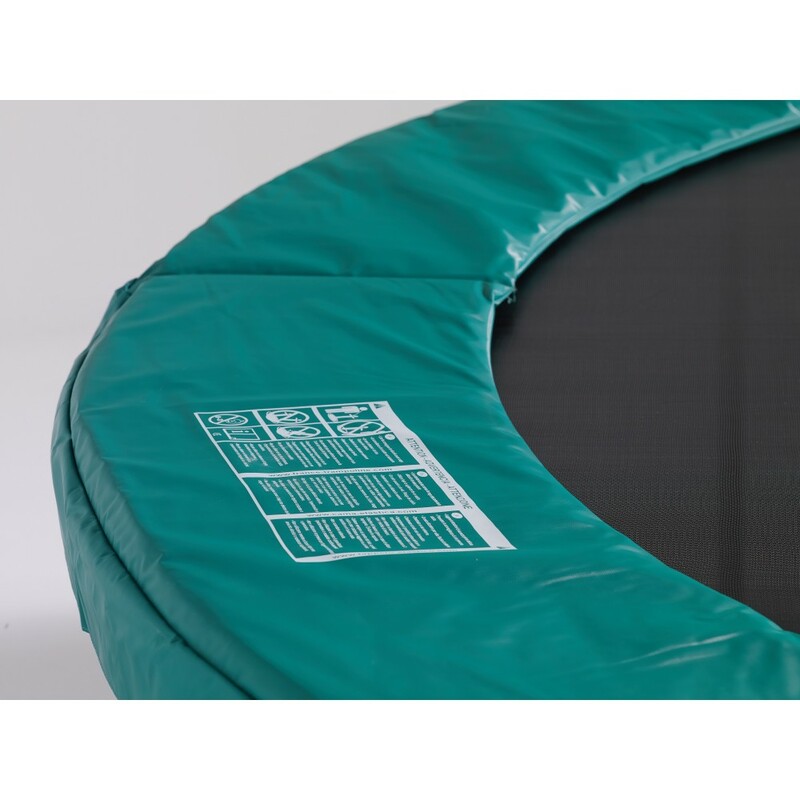 - The jumping mat is strengthened with its 8 rows of stitching and its reinforcement strap around the whole perimeter of the mat. 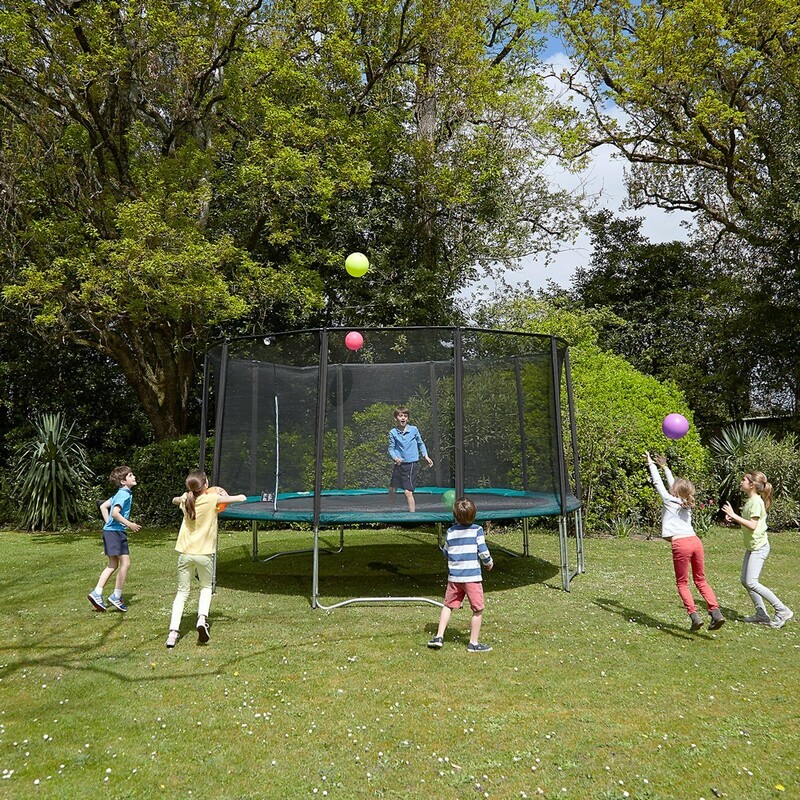 The polypropylene mesh is also UV-light protected for even more durability. 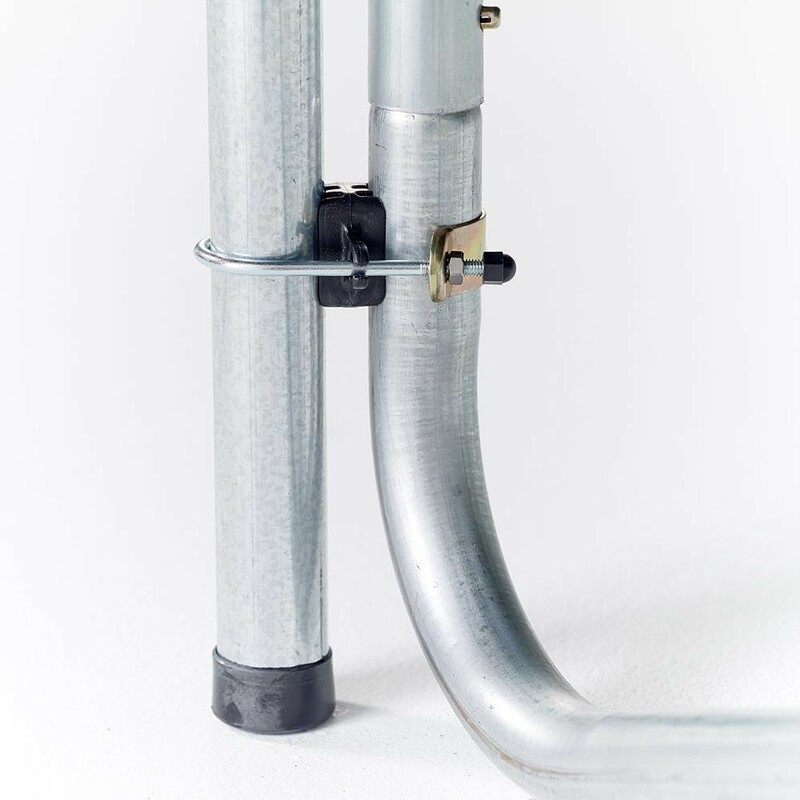 - The 20 mm thick mono-block frame pad covers all of the spring and framework area. 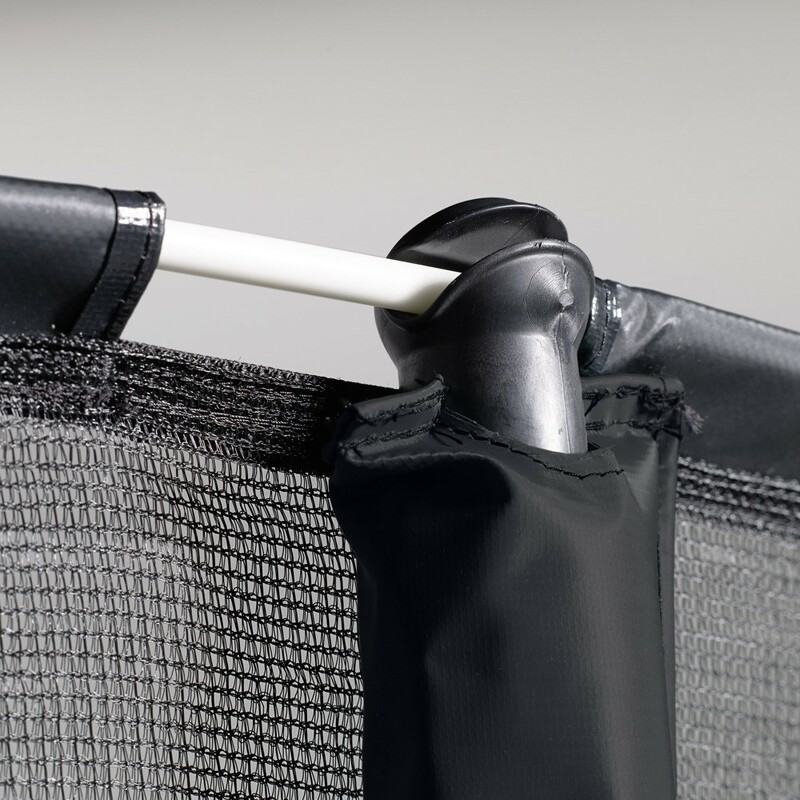 The PVC coated cover is waterproof and UV-light protected. 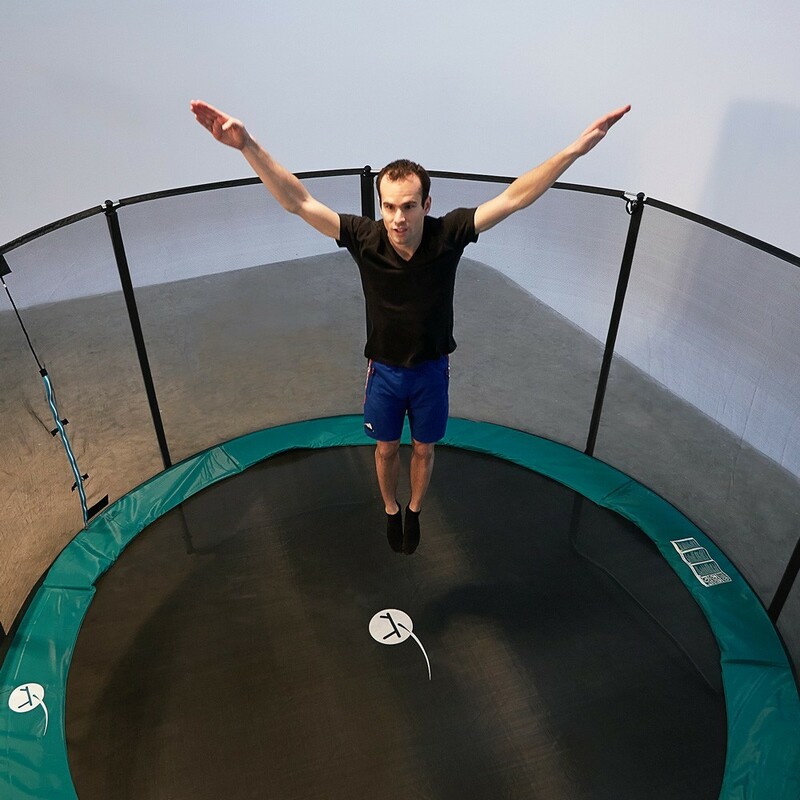 - The safety enclosure has 8 posts that stand directly on the ground making the structure a lot more stable. 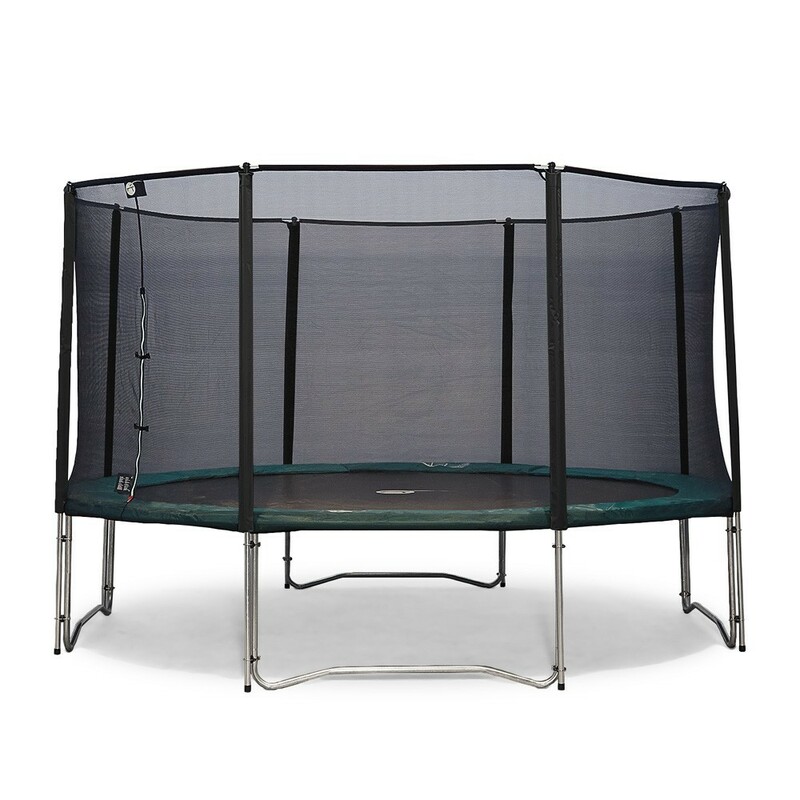 The fine netting stops young children from getting their fingers caught. 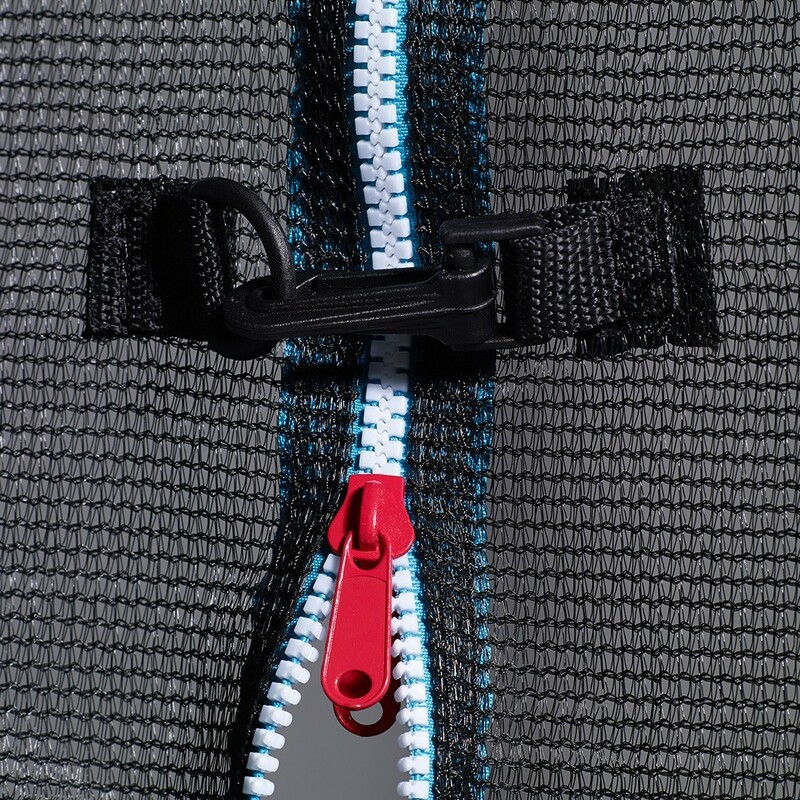 This safety enclosure is provided with an entrance that has a double closing system with a zip and hooks. 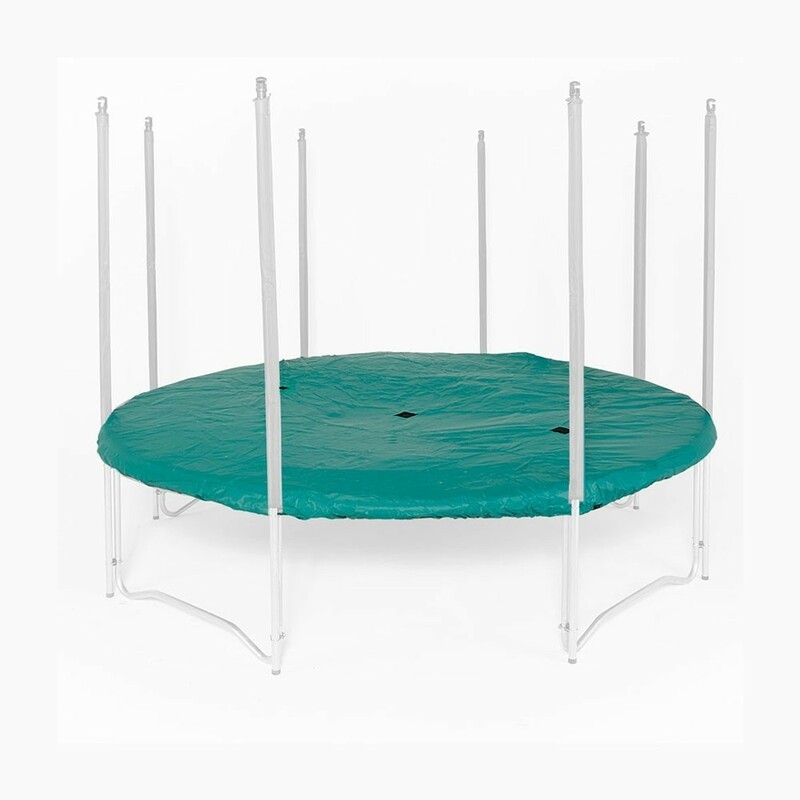 - The ladder is removable and allows for easy access to the trampoline. 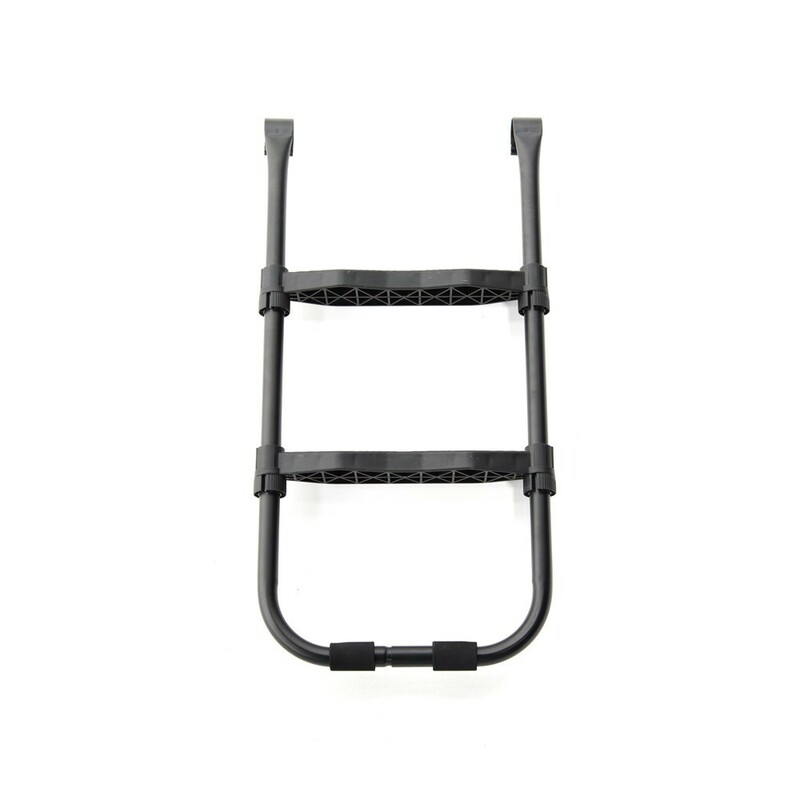 Is 7.5 cm wide anti-slip steps will also provide safe access. 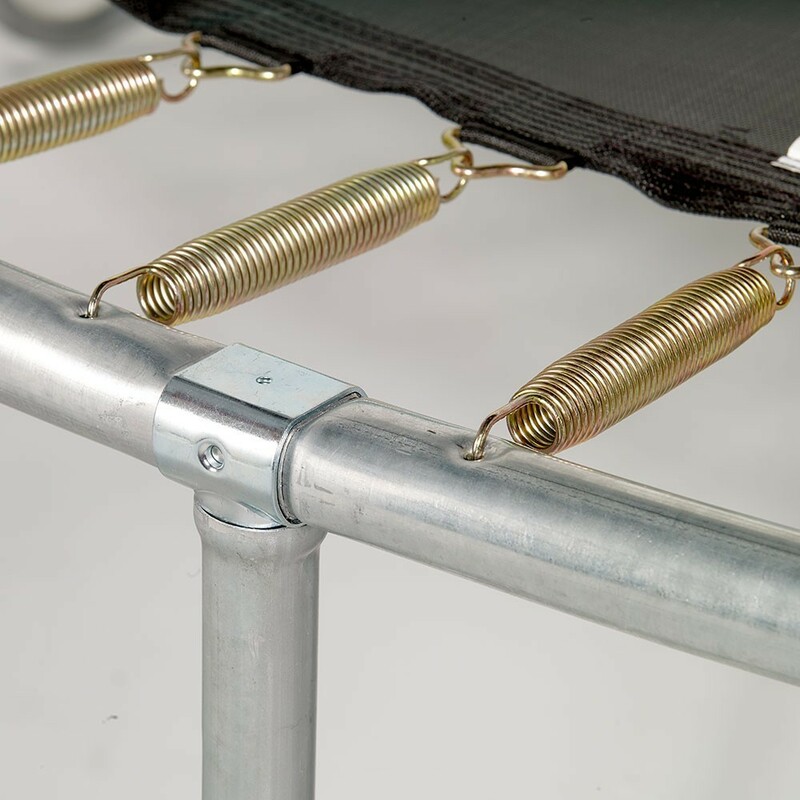 - The anchor kit is made up of 4 winged screws and 4 straps that are wrapped around the trampoline structure. 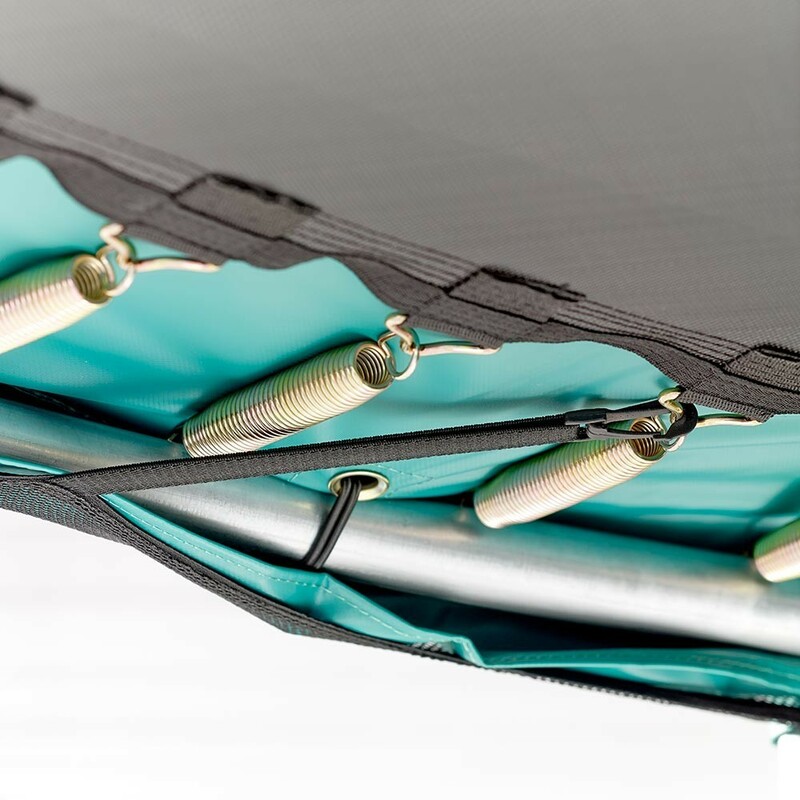 This accessory is indispensable for those living in windy areas. 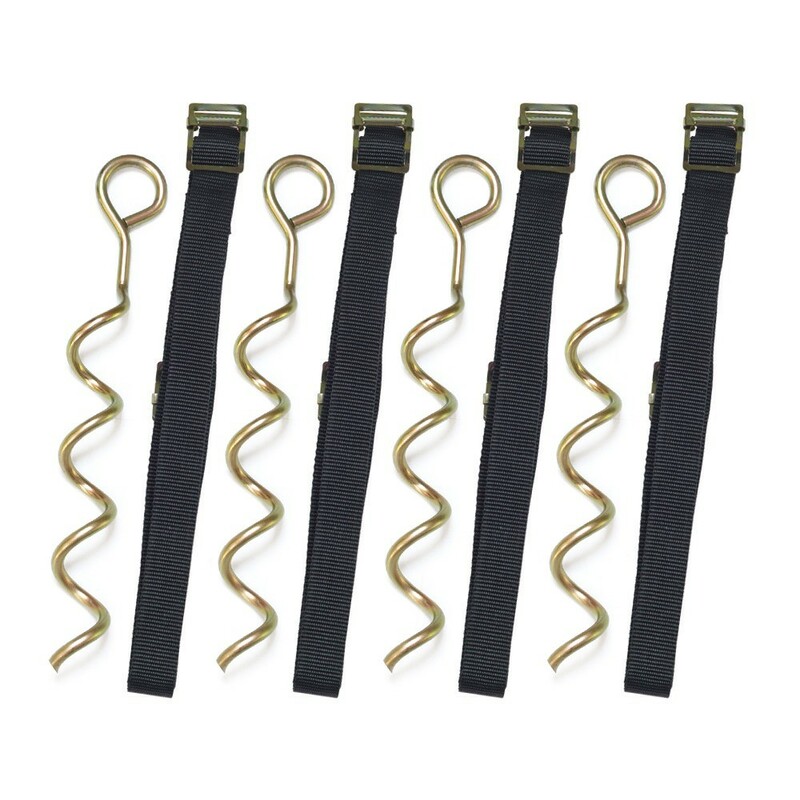 - Lastly, this pack is provided with a PVC coated protective cover. 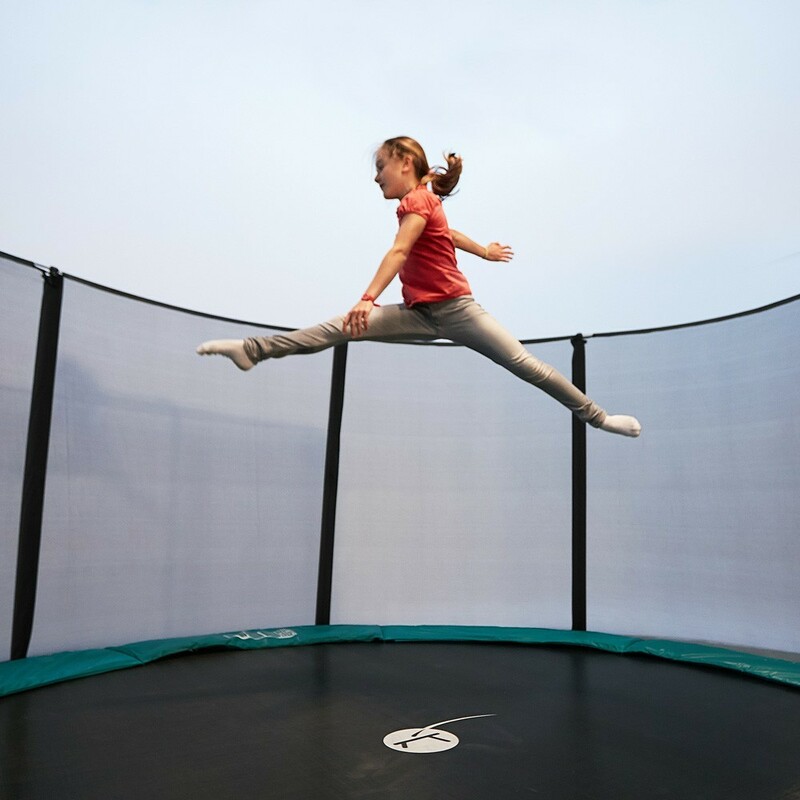 This cover will protect the trampoline jumping mat from bad weather conditions, dead leaves and general dust. 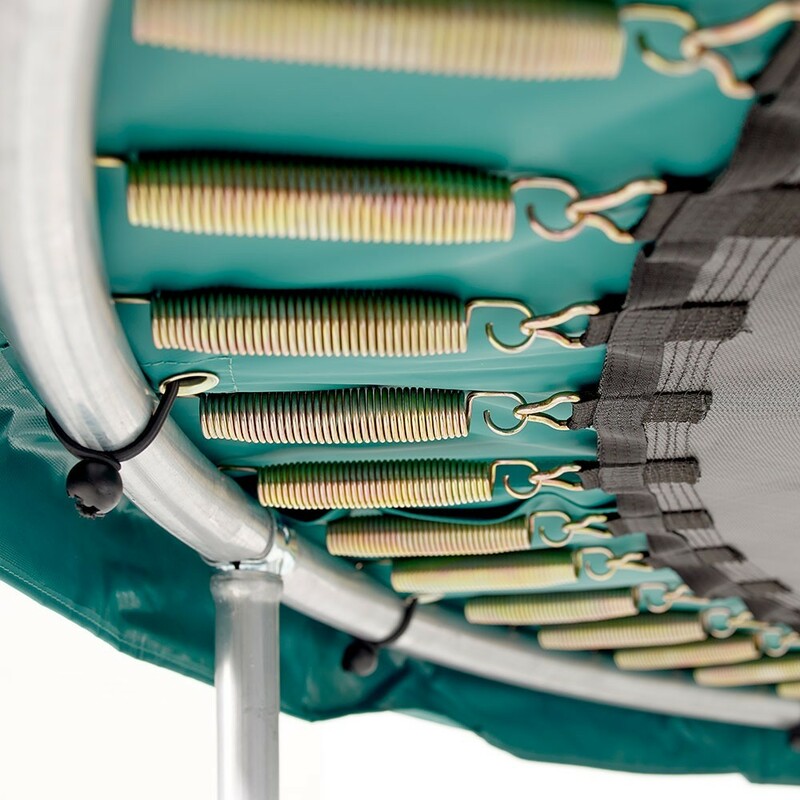 It also as water evacuation grid in the centre.